A staple of most training programs is that they contain some kind of bouldering. 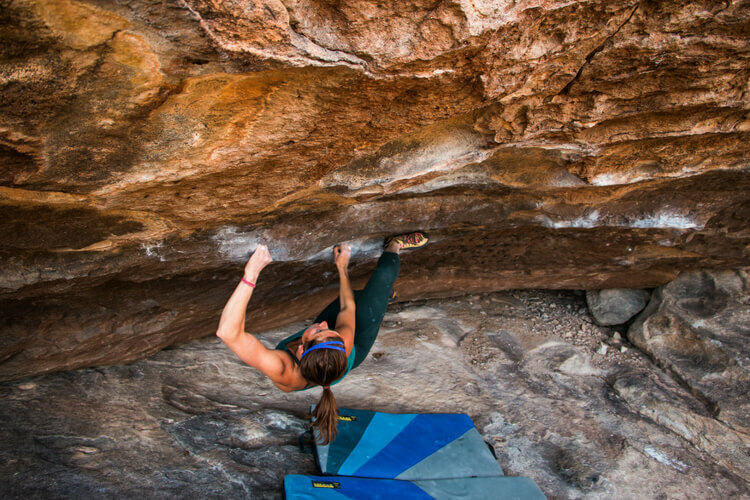 Even programs designed for route climbers typically have a bouldering component. The reason for this is that bouldering is a simple and efficient way to train strength and power. 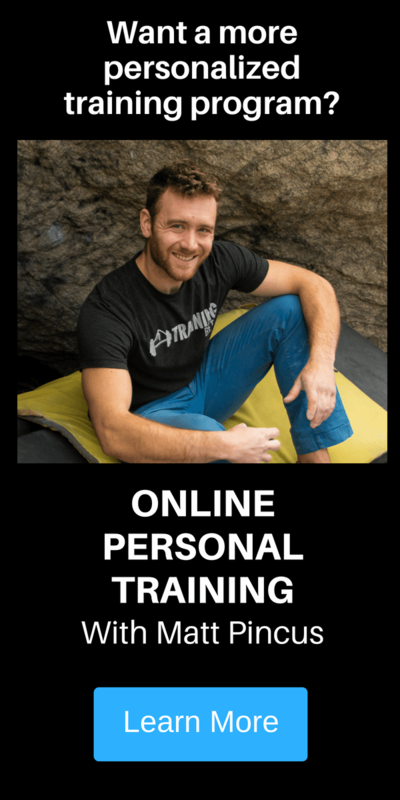 While you are undoubtedly familiar with bouldering, if you look at training programs then you probably come across the term “limit bouldering.” I’ve even written an article for TrainingBeta advocating Limit Bouldering as a better way to train power than campusing (How to Train Power without a Campus Board). Ultimately, the term limit bouldering gets thrown around so much that it can be tempting to think that any bouldering where you are trying hard qualifies as limit bouldering. However, limit bouldering isn’t that simple and there’s a big difference between an effective limit bouldering session and just heading to the gym to climb whatever boulders look cool. 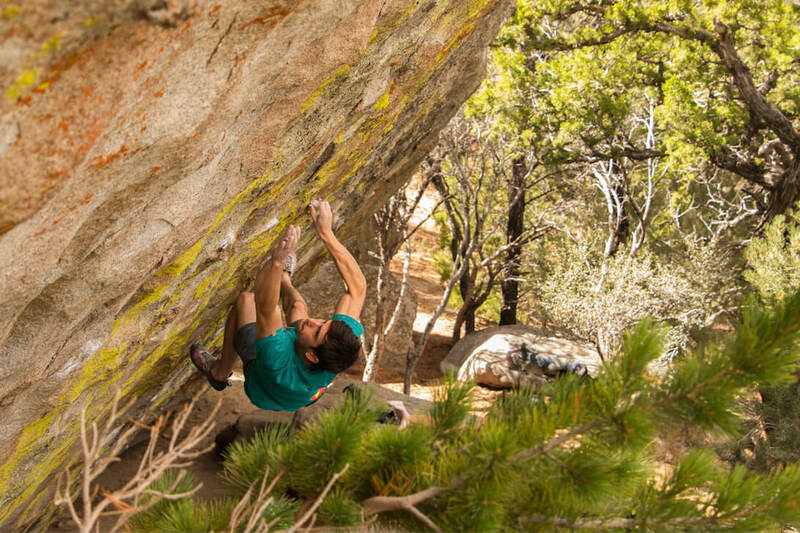 Below are 4 tips that will help you get more out of your limit bouldering sessions. This means more power and that’s something we could all use! Bouldering has some amazing aspects to it. It can be social, free-flowing, and the ease of trying a boulder means you can do quite a bit of sending. 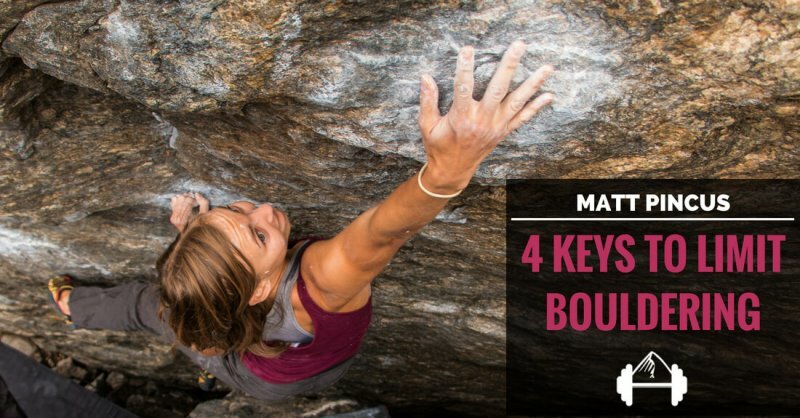 These are all great aspects of bouldering. However, for bouldering to qualify as a limit bouldering session it needs to be more focused. Not every session can or should be a limit bouldering session. 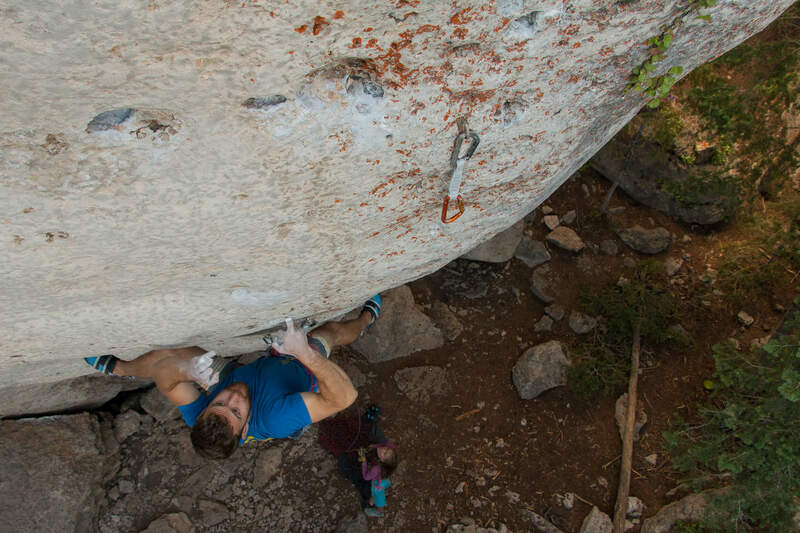 First and foremost, limit bouldering isn’t about sending. 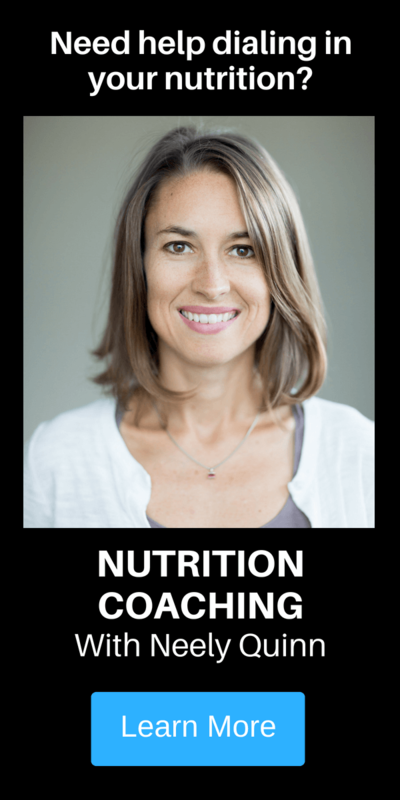 It’s about pushing our power limits to give our bodies the necessary stimuli to improve our power levels. Simply put, if you are sending everything you’re getting on, the boulders aren’t hard enough. 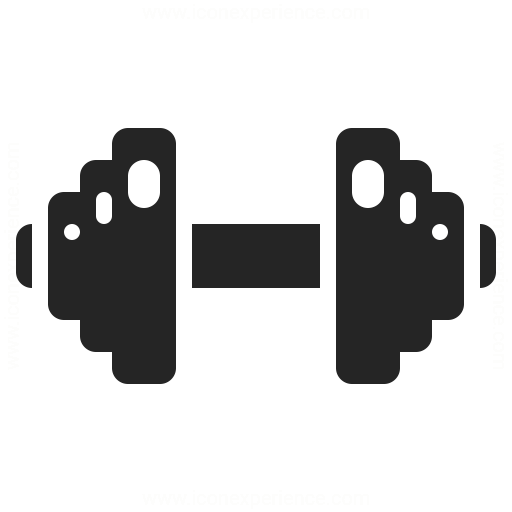 Instead of working on boulders and sequences you’re sure you’ll complete in a session, put your effort into short, hard 3 to 5 move sequences that really require 100% effort to even get close to completing. An important consideration here is that modern climbing gyms aren’t necessarily the best for this. 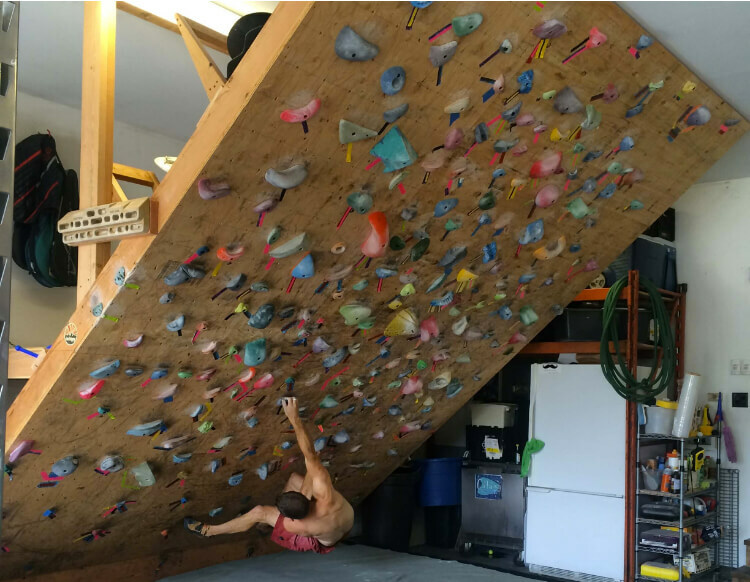 New gyms with their towering 16ft bouldering walls tend to feature problems that are much longer than the above 3 to 5 move guideline. Boulders like these can be very fun to climb on and can feel very challenging, but they tend to become strength endurance challenges rather than a question of pure power. Remember, limit bouldering isn’t just a fun bouldering session. It’s power training. 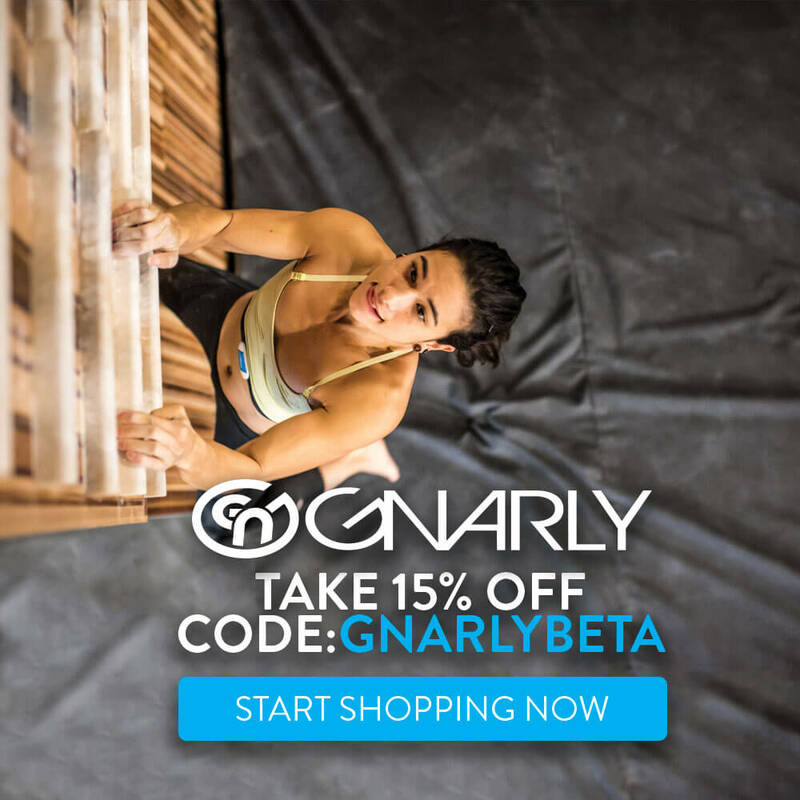 Save the long problems for open bouldering or practice sessions. To be more effective in your limit sessions, go back to that 3 to 5 move guideline. If this means you only work on a short section of a long boulder, great. Remember the goal isn’t sending, but pushing our power limits. 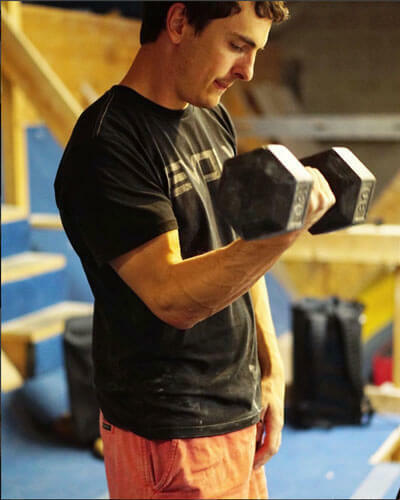 This means that even if the gym boulder is graded much higher than your max bouldering grade, working on sections of it can still provide the right intensity. Another good alternative to the long boulders at your local gym is a training board. Boards like the Tension Board, Moon Board, and really any steep woody full of holds are great tools for limit bouldering. They are steep, short, and the holds are bad. Add all this up and you have a recipe for perfect 3-5 move limit boulders. 2. Take Your Shoes Off! Ok, so now we know that you need to be climbing on hard 3 to 5 move sequences that are right at your current power limit. Sounds easy enough, right? Well, the second part of this equation is that your goes need to be as close as possible to 100% effort. This means you shouldn’t be getting sweaty, pumped, or making rapid-fire attempts on your project. You need to rest between attempts! Everyone (and I mean EVERYONE) struggles with resting enough. It’s hard because you’re excited, trying hard, and there’s really no set time anyone can give you. My biggest piece of advice is to take your shoes off between attempts! You’ll be amazed at how much easier it is to not just pull right back on if you take the time to remove your climbing shoes. Ultimately, how much you rest between attempts depends on how much effort you put into the previous attempt. 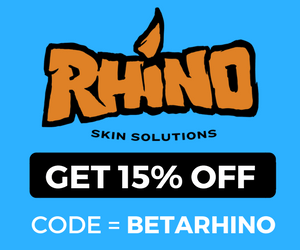 If you’re still just figuring out the beta, you probably don’t need too much more than a minute rest. If you’ve given an all-out effort, you may need to rest five minutes or more. Over time you need to develop a personal gauge for what “recovered” feels like. Sticking to this gauge and only giving high quality efforts will make your limit bouldering sessions far more effective. Now, if you’ve followed the previous two pieces of advice, it means you’re going to be trying hard, but falling – falling A LOT. As we mentioned before, falling is ok and it’s a good sign that whatever you are trying is actually hard enough. However, trying hard and falling off over and over again isn’t enough. During your rests – you know, when you took your shoes off – you need to reflect on WHY you failed. Sure, figuring out the sequence is an important first step, but for you to really be effective in your reflection you need to cultivate a more intentional approach to your movement. Did you stand on the right foot correctly? Did your thumb settle on the left hand perfectly? Were you pushing with your right foot or would pulling with your toe be better? How about your breathing? All of the little details really matter when you are operating at or near your limit and this list is just a few suggestions. Ultimately, having this intentional approach to your climbing movement is important across all of your climbing. Limit bouldering sessions are just a great time to practice and cultivate it. A couple of tips for becoming more intentional in your movement are to have a climbing partner critique your movement, work with a coach, and video yourself climbing so you can break down exactly what is happening. The app Coach’s Eye is extremely helpful and worth all $4.99. The final key to limit bouldering is knowing when to limit boulder and how much is enough before it’s time to stop. To answer these questions, we need to go back to what we are trying to train when limit bouldering, and that’s power. 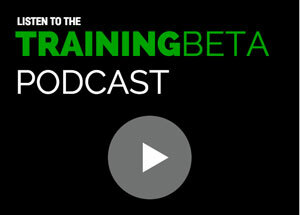 Power training is all about quality, not quantity. You simply can’t effectively train power when you’re tired and depleted. Endurance and strength endurance sure, but not power. What this means practically is two-fold: First, you really need to be rested before you start a limit bouldering session. Personally, I always have a rest day before power training days for this reason. If you are carrying fatigue from climbing or training the day before, chances are you’re not fresh enough to limit boulder and your time could be better spent on skill practice, working on endurance/strength endurance, or resting. Second, you should aviod the feeling of being totally wrecked when limit bouldering. Limit sessions aren’t about getting pumped or getting so tired you can’t grip the steering wheel. You are after quality efforts and one quality effort at 100% is going to do a lot more for your power than a bunch of attempts at a moderate intensity. Once your power levels drop off, it’s better to call it quits, recover, and come back fresh for another session. Continuing only digs a deeper hole for you to have to recover out of. Obviously, there’s more that goes into training for climbing and bouldering. However, if you can stick to these four principles, you’ll be far more effective in increasing your power.